Japan is planning to dispatch its largest warship to the disputed South China Sea for a three-month tour, multiple sources told Reuters. The move would be Tokyo's biggest show of naval force since World War II. 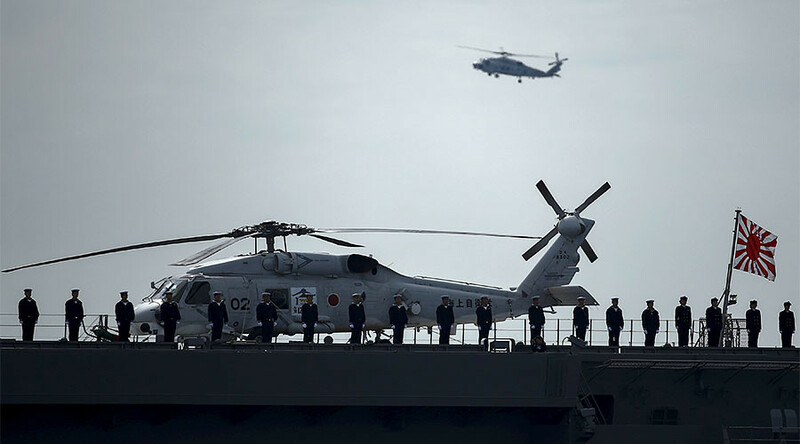 The helicopter carrier ‘Izumo’ will set off in May, making stops in Singapore, Indonesia, the Philippines and Sri Lanka before joining the Malabar joint naval exercise with Indian and US naval vessels in the Indian Ocean in July, according to three sources. “The aim is to test the capability of the ‘Izumo’ by sending it out on an extended mission,” one of the sources told Reuters. “It will train with the US Navy in the South China Sea." Another source said Japan wants to invite Philippine President Rodrigo Duterte – who has pushed ties with China in recent months – to visit the warship when it arrives in Subic Bay, located about 100km (62 miles) west of Manila. A spokesman for Japan's Maritime Self Defense Force declined to comment on the report. The ‘Izumo’, which measures 249 meters (816 feet) long, is as large as Japan's World War II-era carriers and can operate up to nine helicopters. Its primary mission is anti-submarine warfare. Japan has classified the warship as a destroyer, as the pacifist constitution forbids the acquisition of offensive weapons. 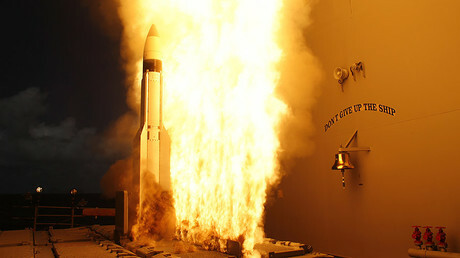 However, the vessel allows Japan to project military power well beyond its territory. Any plan to dispatch the ‘Izumo’ to the South China Sea is likely to anger Beijing, which lays claim to almost all of the resource-rich waters – despite competing claims from Vietnam, the Philippines Taiwan, Malaysia and Brunei. 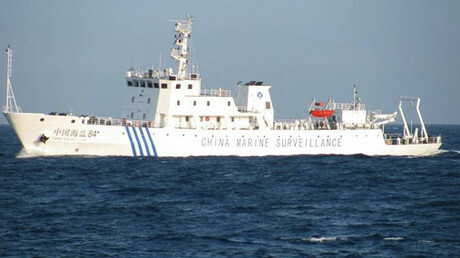 Although Japan does not have any claim to the waters, it has a separate maritime dispute with Beijing in the East China Sea. Earlier this month, China's ambassador to Japan accused Tokyo and Washington of portraying Beijing as an enemy to strengthen their security alliance. The statement came after the Trump administration vowed to maintain Washington's long-standing security alliance with Japan, especially when it comes to the East China Sea. In February, China reminded the US that it has “inherent” sovereignty over the disputed East China Sea islands, after Defense Secretary James Mattis vowed to continue to protect the territories on behalf of Japan. Beijing has repeatedly warned Washington and Tokyo against direct interference in the region, either with military drills or freedom of navigation patrols. It has vowed to do everything in its power to protect China's sovereignty claims.